Dunlop Pro Décor – the revolutionary brand of decorating fillers and smoothers – have lent their backing to the redecoration of a Liverpool hospice. 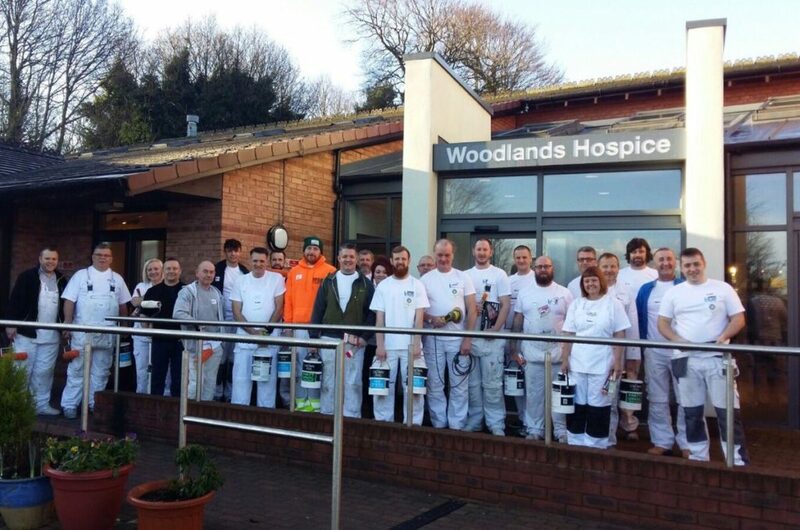 An army of decorators from the Decorators Forum recently came together to answer a call for help after Woodlands Hospice was quoted £8,000 for a new paint job. Woodlands Hospice is an independent charity which provides specialist palliative care for people with life-threatening illnesses but relies wholly on donations resulting in the SOS which was answered by members of the Forum. And following a request from the kind-hearted painters for decorating products to help on the job, Dunlop Pro Décor donated 12 tubes of its Flexible Acrylic Filler non-crack decorators’ caulk, four boxes of its gypsum-based Interior Filler and five bags of its fast drying Rapid Rescue Repair Filler. Pro Décor donated the products through one of its stockists Decorating Supplies.co.uk from Dinnington in Sheffield. Debi Boulton, sales and marketing manager at Dunlop said: “When we were approached by decorators to support this fantastic project we knew it was something we had to get involved with. “Woodlands Hospice provides amazing care to people throughout Liverpool, but as they rely on donations they would have struggled to raise the cash for this much-needed refurbishment.